Facebook recently changed its terms of service again, and — as with previous alterations — has weighted those changes heavily in favor of Facebook’s own corporate aims. To the extent that privacy of user data was ever a concern at Facebook, the erosion of those interests over time has been steady and premeditated. Documenting Facebook’s abuses is more than I care to do. If you’re a Facebook fan, good luck to you. If you’re a staunch Facebook defender, I’m not interested in debating your bullet points. The bottom line for me is that Facebook has tipped its hand more than once, and I’m at the point where I feel like a fool for believing anything Facebook says. I don’t consider the site benign, I don’t consider the site’s corporate aims benevolent, and I don’t believe that Facebook will honor any current legal obligation if they believe they can make more money by voiding that obligation. Welcome to the independent writer’s life. Put up your short story collection at the beginning of the week, get pounded by malicious code injections the rest of the week. To help keep your own chin high and lip stiff, I offer herewith a helping of distractions and items of interest that could very well make or break your ability to ever again confront the horrifying solitude of the keyboard. Drink up. Found this via a tweet by Levi Montgomery. Easily one of the Top 5 most useful bits of information ever posted on Twitter. You laugh. I’m serious. Who can keep these things straight? On the platform subject, does it help or hurt an author to have an indecipherable name? Does it make people less likely to reference you, or does it make them more likely to talk about you, if only relative to the difficulty of pronunciation? 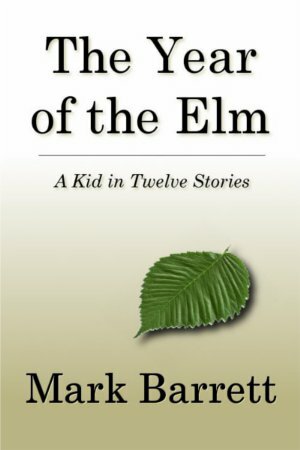 I recently published a collection of twelve short stories on Smashwords. [Book removed 01/03/17]. The first three stories can be viewed free. The entire collection is $4.99, and available in a variety of formats. I am making three stories available for three reasons. First, I like the idea that a prospective online customer can peruse part of a work as they might in a bookstore. Second, I believe self-published authors have an obligation to demonstrate that they can carry a tune before asking someone to pay for their work. Third, I intendThe Year of the Elm to create an overall effect, and I feel an obligation to make the structure clear to the prospective buyer. Reading the first three stories should do that. The next step for TYOTE is to put together a print-on-demand (POD) version, probably through Lightning Source. I’ll have more to say about TYOTE, and about the process of publishing it myself, in subsequent posts. On the horizon, my next project involves a novel I’m revising, and what may or may not be an innovative attempt to meld the strengths of the internet as a medium with the craft aims of traditional storytelling. I believe that all mediums are eventually turned to fiction, and my hope would be to show how that might be better done with the internet itself. I don’t believe in writer’s block. I know full well there are days when the writing comes easy and days when the writing won’t come at all, but I don’t ascribe the difference to any unseen or mystical force. Rather, I ascribe the difference to the fact that writing is damned hard all the time, and any day when it’s going great is a miracle. I was reminded of my feelings about writer’s block by a post from Stephanella Walsh, in which she herself talked about coming to terms with the myth of writer’s block. It’s a good post, and particularly so because it admits to change, which is something too few people are confident enough to do. Stephanella does a solid job of listing reasons why people reach for the “I’m blocked!” excuse, and I don’t disagree with any of them. People have been using the excuse of writer’s block — and the premise: that writing necessarily flows from some hidden spring of inspiration — since the first caveman struggled with the first cave painting. I would like to propose, however, that there is a basic choice that every storyteller needs to make when approaching their work, and that in making this choice a writer necessarily allows or precludes writer’s block as an aspect of the storytelling process. The choice I speak of is whether or not writing is viewed first and foremost as a craft. If you view storytelling as a craft — as a mix of techniques and channeled authorial gifts (the stuff you just happen to be good at) — I don’t see how writer’s block pertains. When you write from craft you can say you’re stuck, or you’re tired, or you hate your life, but the idea that your muse is playing coy, or that something that happened in your childhood is getting in the way of your ability to bash the holy hell out of your keyboard is absurd on the face of it — as it would be if you were a ditch digger and complained of ditch-digger’s block. On the other hand, if you view storytelling as art — as a nebulous, ill-defined process of introspection and pure expression devoid of any compelling need to communicate with the reader, or even to be intelligible — then I suspect that writer’s block is useful in an endless variety of ways. Including, perhaps most importantly, by connecting you in spirit to all the other great writers who sat back in a sunny cafe chair and bemoaned the lonely fate of the truly and tragically gifted. It’s your call, of course. But if you’re thinking that what you’d like to do is tell stories, you might want to take a long hard look at what your storytelling is in service of. Giving your authorial fate over to the unseen or mystical strikes me as a both a considerable statement of intent and a mistake. Unless, of course, what you’re really interested in is the drama of being a storyteller as opposed to the end product.